It’s now the most successful Chinese film ever, propelling the Chinese box office to out-perform its U.S. counterpart for the first time in film history. Filmed In Ether editor and founder Hieu Chau talks with contributing writer Hayley Inch about Stephen Chow’s The Mermaid. Hayley: HOORAY LET’S TALK THE MERMAID! So I hadn’t actually seen any Stephen Chow films except for Kung Fu Hustle before this one, and I really wasn’t sure what to expect. Hieu: And I’ve only really seen like three of Chow’s other films so I’m no expert on him either BUT I think a lot of what has made him an enjoyable filmmaker can be seen in The Mermaid. Hayley: I was certainly HIGHLY ENTERTAINED! I really enjoyed the mish-mash of genres that careened around with no sense that the film needed to be identified with any particular genre beyond fantastical fantasy. Hieu: That said, from what I have seen of his films and what I know, I don’t think he’s ever made something with this strong a message? 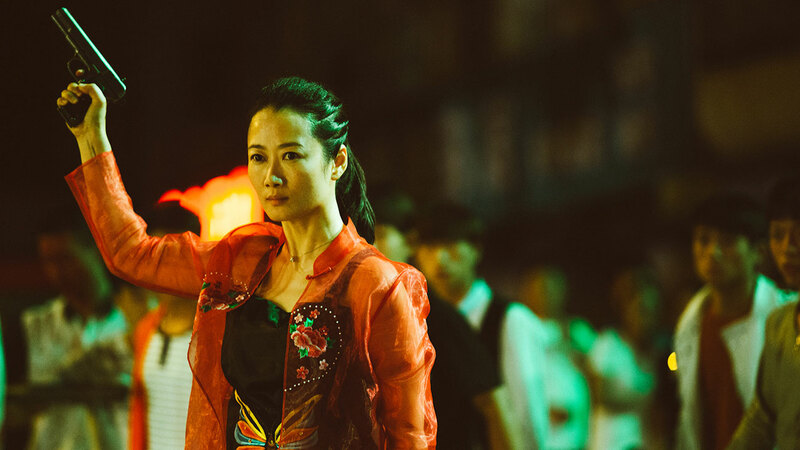 Hayley: I definitely wasn’t expecting the highest grossing Chinese film ever to be such a harsh environmentalist parable, that’s for sure, and it made the film feel more weighty and more worthy of consideration than just escapist entertainment. Hieu: The fact that it does so much in terms of being a weird mix of genres kind of makes it enduringly charming too. Like it’s so silly and yet it feels completely appropriate and okay in that world. And because the film believes in it, you believe in it too. It gets away with so much but it’s kind of great in that way. Hayley: It has this madcap, almost screwball energy to it that you can’t help being carried away with all the ridiculous twists and turns. And at the end of the day, everything hinges on your classic opposites-attract romance and spins off on that, and I think finding the right actors to carry that central romance off allowed the rest of the film to be oddball and simultaneously carry a serious message. Hieu: And those actors are so fantastic in their roles! Not just the leads but a lot of the supporting cast too! 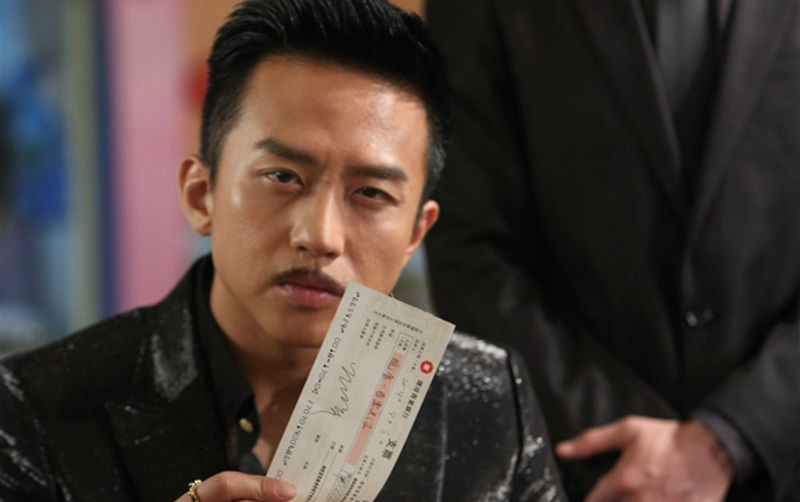 Deng Chao has such a strong comedic presence in there, he’s such a goon but he’s so much fun! Hayley: I really enjoyed how he spends most of the film as this almost unbearable nouveau riche dirtbag who very slowly comes around to the good side of things when Shan gets to the heart of where he came from. It’s not pushed too quickly and you get to see and understand why they fall for each other, for an otherwise very heightened film, the romance doesn’t feel contrived beyond what the plot requires. Hieu: Every time I think of him, I think of that scene where he declares to Shan that a guy like him wouldn’t enjoy hanging out at a theme park (or something to that effect) which Chow then immediately cuts to an OVERJOYED Liu Xuan with hands raised on a rollercoaster. In that same scene, I was really… REALLY hoping his goons would join in on the fun too. And it’s scenes like that which make me think the humour won’t fail a Western audience too. Like for people worried that the comedy will get lost in translation, I reckon there’s not a lot to worry about because so much of the film’s humour is derived from sound and visuals. I saw a tweet from Tony Zhou, the guy who does those great Every Frame a Painting video essays, sometime after and he praised the film for being the best visual comedy of the year. Chow understands humour so well in the context of film that he doesn’t necessarily see comedy as being one-liners. Hayley: I was delighted with how much slapstick the film employs. All kinds of slapstick! Clever, silly and all out VIOLENT kinds that effect characters no matter who they are, male or female. The scene where Shan is sneaking around Liu Xuan’s office trying to kill him and just succeeds in violently hitting or stabbing herself, or ending up with sea urchins stuck all over her face KILLED me! It was so refreshing that in this cartoon world, everyone was subject to the same ridiculous disregard for the realities of the human (and mermaid!) body’s endurance level. Hieu: Let’s not forget about the endurance level of octopus people either! But yes, so many great scenes of slapstick brilliance throughout; physical humour will never not be funny. Hayley: We definitely need to address Octopus Man. WHAT A GLORIOUS CREATION IS OCTOPUS MAN! Hieu: What a guy… I also want to see a spin-off film about Octopus Man and his rivalry with that granny mermaid who kept torturing him too. Hayley: Granny mermaid was the character I identified with most. GRANNY MERMAID FOR PRESIDENT! She would teach us all to get on this climate change business OR ELSE. Hieu: I think we both can agree that we enjoyed this film, perhaps more so than we thought but was there anything you felt the film was lacking? I personally think not having Chow star in the film was a missed opportunity. But maybe his star power would overshadow the film’s message or some of its other stars. Hayley: I do wonder if the overwhelming environmentalist message is actually going to get through to the majority of its audience (especially considering how enormous that audience is if we go by box office). It’s always the trouble of films with a message, is it going to make a difference and educate, or are audiences just going to walk away with how entertaining it was and leave it at that. Chow may have made his film too fun, but then again I keep thinking back to those scenes of the humans hunting the mermaids that looked like they’d been directly inspired by scenes from The Cove and how horrifying it was, even with the hokey style of CGI employed throughout the film. I wonder whether anyone could have walked out just feeling jubilant. Hieu: Those scenes were hard to watch which could help the film’s cause. 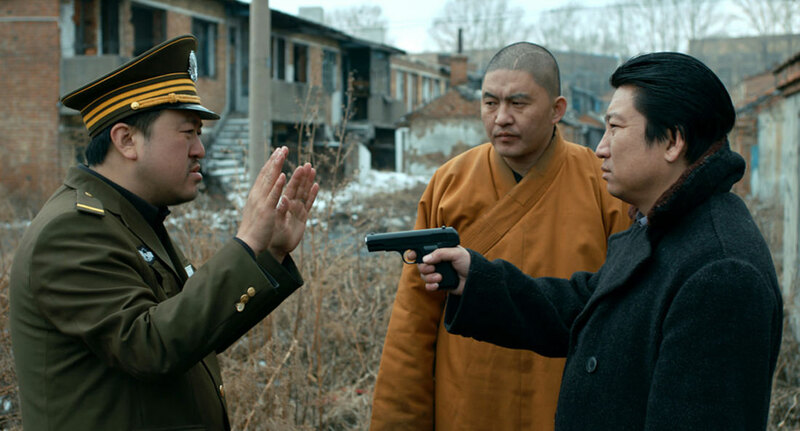 I think Chow is known for bloody smatterings of violence across his films but in this instance it was kind of jarring. Still, for a slapstick comedy to be so brazen with is environmentalist message and still walk away from the box office as the biggest film in Chinese history says a lot. It’s a shame that its release has been poorly handled by Sony, I reckon, but that’s another story altogether. Hayley: This would turn into a long rant if I got into how international distributors badly handle Asian releases SO I WON’T! But it would be nice if the success of this film could lead to more Chinese films in particular making that leap overseas. You see it more often with particularly Korean films that they feel made for a worldwide audience to grasp. But then again the film-going audience in China is now officially the largest in the world, so who needs foreigners! Hieu: And Hollywood has already started to try and appeal towards Chinese audiences anyway but I digress… For what it’s worth I think The Mermaid is pretty fun and, compared to another subversive comedy I saw in cinemas before it (Deadpool), I think there’s a lot more to appreciate and take away from Chow’s film. Hayley: I honestly think that anyone could get something out of this film to enjoy or ponder over, even if it’s just, “Why aren’t Western films featuring giant octopus men for comedy relief?” THAT’S A WINNING GAMBIT! Hieu: It’s really silly, yeah, but I think once you realise you’re watching a cartoon (and I say that with praise not derision) it becomes a lot easier to settle into. 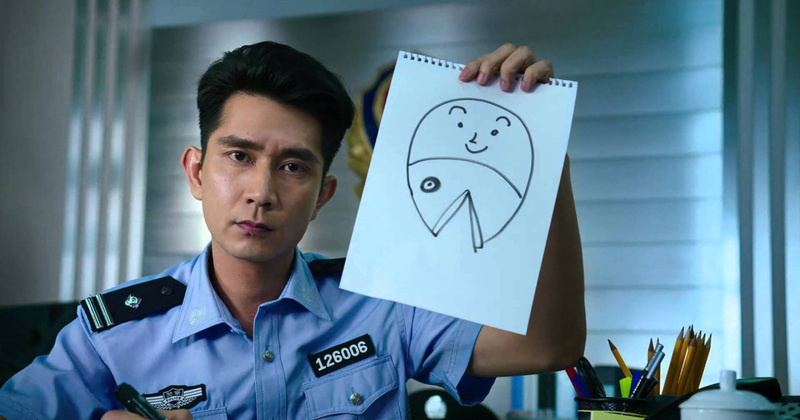 Kind of makes me think now with all this talk of cartoons and environmentalism what a Stephen Chow-directed live-action Captain Planet movie would look like. Hayley: I would watch Stephen Chow’s Captain Planet IN A HEARTBEAT. Hieu: Let’s get a Captain Planet crossover with Octopus Man so that they can form the Avengers of Envionmentalism. Hayley: It’ll be better than Age of Ultron! Hieu: So much better! I hope this all leads to more Stephen Chow watching on your behalf, Hayley! Please see The God of Cookery. Food and films; right up your alley! Hayley: I am always willing to watch any film where people eat a lot! Certainly I’m glad this film is going to encourage me into seeking out more of Chow’s films, which really what more can a filmmaker ask for?